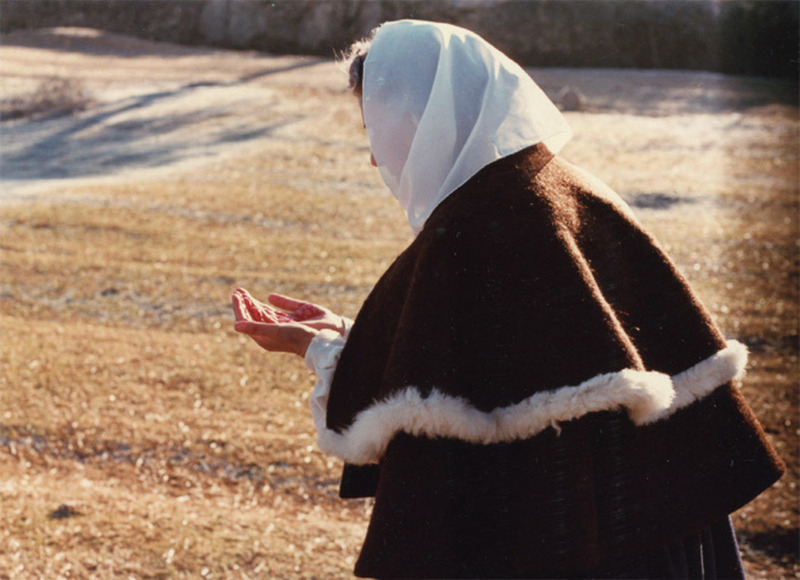 António Reis and Margarida Cordeiro, Ana, 1982, still from a color film in 35 mm, 114 minutes. INCUBATED ON THE LITERAL and figurative margins of Europe, Portuguese cinema can often seem a world unto itself, a semiautonomous territory that evolved at its own pace and at a productive remove from the rest of the continent. The lost years of the Salazar dictatorship and the pent-up energies from decades of repression and dormancy; the deep-seated agrarian tradition and the delayed arrival of industrialization; the vast storehouse of local history and myth and the vibrant cinematheque scene of the post-Salazar yearsall have conspired to create in Portugal one of the richest and most distinctive film cultures in the world. Manoel de Oliveira, a one-man century of cinema, looms large for obvious reasons, but a case could be made that for today’s preeminent Portuguese filmmakers, no single figure has been more influential than António Reis. A vital link across generations, still largely unknown outside Portugal, Reis got his start working with Oliveira and the Cinema Novo filmmakers of the 1960s, and from 1977 until his death in 1991 he taught at Lisbon’s Escola Superior de Teatro e Cinema, where his students included Pedro Costa and João Pedro Rodrigues. The handful of films that Reis made in the 1970s and ’80s with his wife, Margarida Cordeiro, are, to use Jean Rouch’s term, “disquieting objects,” works that integrate documentary and fiction, ethnography and poetry, sometimes as compatible bedfellows and sometimes as bluntly opposing forces. The couple’s best-known features, Trás-os-Montes (1976) and Ana (1982), both set in a rugged northeastern province of Portugal and years in the making, have been described as attempts to define a national cinema, or even a national character, but Reis and Cordeiro’s films are humbler than that implies. Theirs is a committed cinema, and at its heart lies a recognition that to film in this remote, doubly marginal region, a forgotten corner of what could seem like a forgotten country“lost in time,” as the guidebooks invariably put itis to engage with the land and its people. Born on the outskirts of Porto in 1927, Reis was a self-taught artist who painted, sculpted, and published poetry before devoting himself to cinema. Oliveira, returning to feature filmmaking after a twenty-year hiatus, invited Reis to assist him on Acto de primavera (Rite of Spring, 1963), his Brechtian staging of the Passion in a remote village. Reis also wrote the screenplay for Paulo Rocha’s Mudar de vida (Change of Life, 1966), which was, like Acto, a staged fiction using rural nonprofessional actors. The idea of employing fiction in situations that typically invite an ethnographic approach would inform the films that constitute the core of Reis’s legacy. It was Cordeiro, a psychiatrist, who discovered the subject of their first collaboration, Jaime (1974). Working at the Miguel Bombarda sanatorium in Lisbon, she found an artwork by a patient, Jaime Fernandes, a paranoid schizophrenic who spent nearly half his life there and died in 1969. 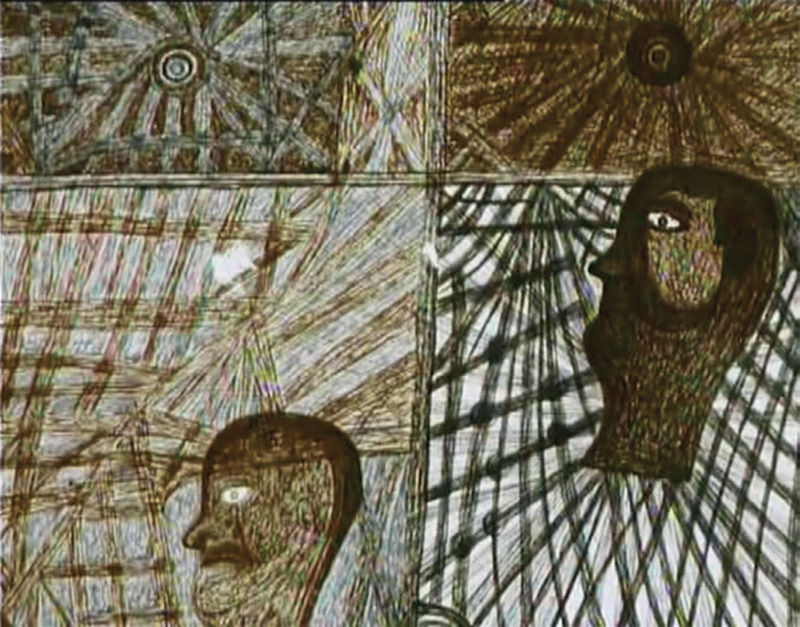 Just a few years earlier, after turning sixty, Fernandes had started producing odd, obsessive drawings using pens, pencils, and matchsticks dipped in mercury. Jaime calls to mind the materialist approach of another unorthodox biographical portrait by another radical filmmaking couple, Jean-Marie Straub and Danièle Huillet’s Chronicle of Anna Magdalena Bach (1968). In the absence of the man, Jaime declines to retrace his life and instead focuses on what remains: his drawings, his writings, the places he inhabited. Fernandes appears only in the weathered photographs that open and close the film. Throughout, Cordeiro and Reis provide close-up details of his thickly webbed sketches, an art brut bestiary of avian, bovine, and lupine creatures as well as half-man, half-animal forms; most have a single, staring Egyptian eye and outsize, lopsided proportions, stretched limbs extending to the edges of the paper. 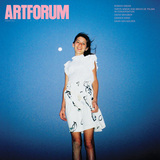 (Fernandes’s work has since been exhibited at the Fundação Calouste Gulbenkian in Lisbon and is part of the Art Brut Connaissance et Diffusion collection in Paris.) Shots of his notebook pages, a few haunting phrases isolated (“Nobody. Myself”; “Jaime died here eight times already”), and occasional offscreen voices (those of his widow and a fellow inmate) serve as punctuation in what is above all an immersion in physical environments: the rural surroundings Fernandes once knew and the fortress of solitude where he whiled away his years. Dense with subterranean rhymes and associations, Jaime situates Fernandes’s late surge of artistic productivity within the context of his bifurcated life. It’s possible to see the lived experience in the art (the shape of a dormitory skylight echoed in a drawing’s geometric patterning), and in one passage of cryptic lyricism, Fernandes’s surrealist vision seems to merge with his pastoral roots (an open umbrella in a circle of corn; a goat in a room, nibbling on its own shadow). But the film never presumes to enter his mind. Its intent is more modest and direct: to affirm that these works were made by a man, and that this man existed on this earth. A startling cut to a patch of heather, the first glimpse of color, interrupts the opening sepia-toned images of the inmates in the sanatorium courtyard, one of many reminders of an outside world. From its opening sequence, in which the camera peers discreetly through the windows of the asylum’s exterior walls into its circular courtyard, Jaime is a film about calibrating the truest ethical distance from its subjecta challenge that would be taken up with living subjects in Trás-os-Montes and Ana. Indeed, Jaime amounts to a précis for most of the couple’s formal and thematic concerns. Its eclectic sound track (Stockhausen dissonance, a Telemann minuet, a piercing blast of Louis Armstrong’s “St. James Infirmary Blues”) underscores a striking contrapuntal use of image and sound, extending beyond music to include testimonies, recitations, wind gusts, rushing water, and charged silences. And its preservationist impulsemany of Fernandes’s drawings were destroyed after his deathwould deepen in the subsequent films, which sought to capture the fading traditions of Cordeiro’s home region, Trás-os-Montes. António Reis and Margarida Cordeiro, Jaime, 1974, still from a color film in 35 mm, 35 minutes. Drawing by Jaime Fernandes. Hemmed in by hills and rivers, much of Trás-os-Montes (the name means “beyond the mountains”) was unreachable by paved roads at the time. The couple and their small crew traveled from village to village on foot, befriending the people who became their subjects. Reis said of Fernandes, “His historical and psychological time was other,” and the same goes for the region and the way of life documented in Trás-os-Montes: an untouched landscape of rolling hills and rocky cliffs, communities of stone houses without electricity whose residents’ rituals of labor and leisure have been passed down for generations. But as palpably as the film evokes the weight of the past, it also suggests the pressures of the present. City life is a faraway abstractiona passage adapted from Kafka’s “The Great Wall of China” (1917) describes the utter estrangement of villagers from the capitalbut even so, it exerts an erosive pull. Conversations revolve around absent family members (breadwinning fathers, married daughters). The final shot is of a departing train, its clouds of steam disappearing into the night. Trás-os-Montes crystallizes a central paradox in Cordeiro and Reis’s films: They can seem at once concrete and cosmic, subject to both a solidification and a slippage of time. On the one hand, there is a ubiquitous sense of the immense and the eternal. On the other, there is a palimpsestic merging of past and present, and a refusal to distinguish between the flux of life and the flow of stories. At one point, the young boys who serve as our de facto guidesexploring abandoned houses, playing by a creek where they find sheets of ice and “lightning stones”go on a ramble that takes them centuries into the future (they meet their descendants) and then, no less mysteriously, into a fourteenth-century royal court. Observed reality coincides with the persistent murmurings of myth: A mother recounts to her children the legend of the princess Branca Flor; a voice-over about black sheep and white sheep on opposite banks of the river, lifted from the medieval Welsh tales in The Mabinogion, alludes to the region’s Celtic ancestry. Cordeiro and Reis returned to Trás-os-Montes in the mid-’80s to make Ana, enlisting Cordeiro’s grandmother to play a version of herself. If Trás-os-Montes could be classified as ethnofiction, Ana tips the balance further toward stylization: a docufable, at times even a trance film, with long passages of dreamlike intensity. The pair’s most painterly work, Ana alternates between single-light-source interiors and sun-baked meadows and wheat fields. As with Trás-os-Montes, the viewer’s mind is apt to wander from one aeon to another: In an out-of-nowhere interpolation worthy of Oliveira, Ana’s son, an anthropologist, delivers an extended lecture on the ancient history of rafts dating to Bronze Age Mesopotamia. Ana’s remembrance of a long-ago eclipse haunts a movie in which one woman’s encroaching twilight comes to stand for the end of things. But the film also privileges the heightened senses and impressions of childhoodin Ana’s very recounting of the eclipse, in a luminous passage from Rilke’s “Third Elegy” about primal fever dreams, in a scene that refracts sunlight through a prism in a darkened room. Their fourth film, Rosa de areia (The Sand Rose, 1989), which incorporated texts from Kafka and Montaigne and pushed further into abstraction, was their last. After Reis died in 1991, Cordeiro retired from filmmaking, but the couple’s influence has been apparent for decades. João César Monteiro shot his 1977 film Veredas (Trails) in Trás-os-Montes, similarly drawing on the area’s folk traditions, and the hospital seen in Jaime makes a prominent appearance in his psychodrama of obsession and decrepitude, Recordações da casa amarela (Recollections of the Yellow House, 1989). Rodrigues’s student film about a day in the life of a shepherd, O Pastor (1988), echoes the purposeful simplicity of the Trás-os-Montes films, while Costa’s Fontainhas trilogy, made in collaboration with the residents of a Lisbon slum, takes its cue from the couple’s ethical stance. Even among later generations, there are strong tracesin the quixotic, not-quite-ethnographic journeys of Miguel Gomes’s Aquele querido mês de agosto (Our Beloved Month of August, 2008) and Gonçalo Tocha’s É na terra não é na lua (It’s the Earth Not the Moon, 2011), for example. The mystery when it comes to Reis and Cordeiro is how works of such apparent austerity can achieve such complex effectsRouch even credited them with inventing “a new cinematographic language.” No less than with Robert Bresson or Straub-Huillet, filmmakers who prompt similar questions, the guiding principle is distillation as revelation, an insistence on finding what Cordeiro, in an interview with Cahiers du Cinéma, termed “literal images, images of an immediate and adequate vision.” It bears noting that Jaime, Trás-os-Montes, and Ana are all namedmodestly, decisively, definitivelyfor people and places, fitting gestures for filmmakers who used their camera to show exactly what exists and to suggest what no longer is. Organized by Haden Guest of Harvard Film Archive, “The School of Reis: The Films and Legacy of António Reis and Margarida Cordeiro” travels to Anthology Film Archives in New York, June 22–28. Dennis Lim is the editor of the website Moving Image Source and writes regularly for the New York Times.